The 2016 USGP results sheet led by Lewis Hamilton. View the full 2016 USGP results below. Driver considers the race at Circuit of the Americas, a home grand prix. 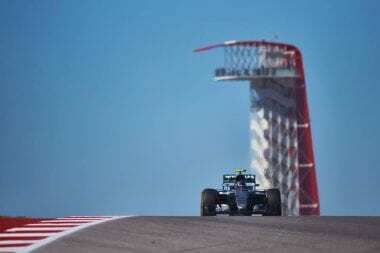 Lewis Hamilton has now won 4 of the 5 total F1 events at the new COTA track in Austin, Texas. He held off a late charge from teammates Nico Rosberg to pick up his third consecutive USGP win. It was a record breaking race at the Circuit of the Americas. As both attendance records and win records were set. The win in the 2016 United States Grand Prix has also added a new line to the record books. Hamilton joins Prost and Schumacher in 50-win club. The Circuit of the Americas also set a new attendance record. the 2016 USGP attendance was 265,000 over the three-day weekend f1 event. That’s a big jump from the 2015 Circuit of the Americas attendance numbers of 224,011. This was the debut home race for Haas F1. Grosjean brought the Ferrari across the line in the points. Meanwhile, his Haas teammate Esteban Gutierrez was forced to retire early. The Haas F1 team has suffered from a variety of brake issues all season. This time Esteban Gutierrez had a brake rotor explode. View the full 2016 USGP results below.